Happy Thanksgiving, friends in Internetland! Man, I tell ya– this is gonna be a great one, if things are already starting out this way! If you want to please Jesse Gillespie, there are few things that win bigger than the discovery of a brand new lifeform right here on earth that qualifies as “alien-like”. 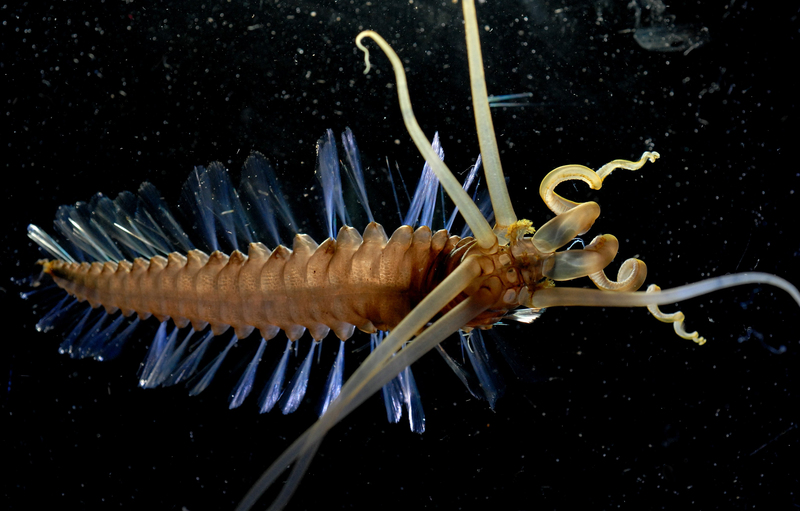 Meet the “squidworm”, recently uncovered by biologists involved in the global (and awesome) Census of Marine Life project. When I first saw this photo, I was immediately reminded of the Old Ones from H. P. Lovecraft’s ‘At the Mountains of Madness’. One of the best parts of this discovery was the addition in one article of a description of its main food source, marine snow, which is “a mix of sinking microscopic plants and animals, faecal material and cast-off mucus.” Mmmm! I’ll have what that guy’s having! 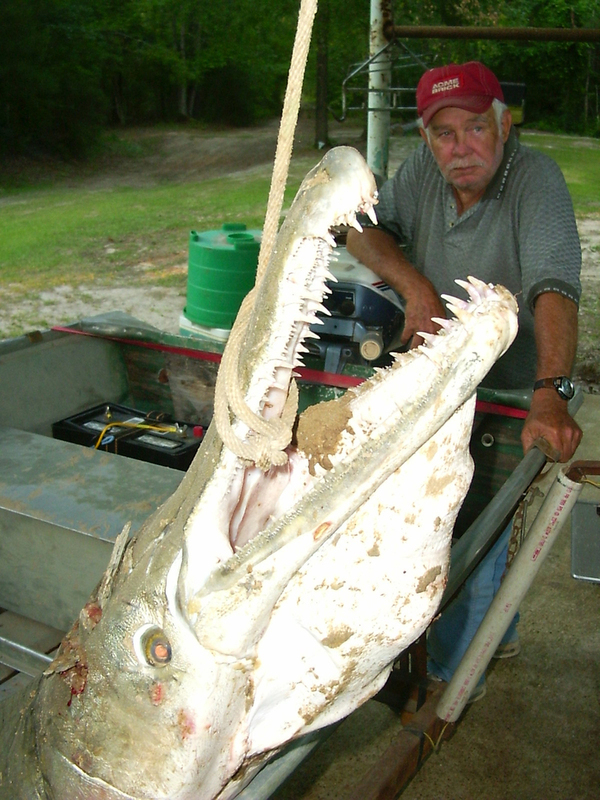 Thank you, O Mighty Creator, for Your ultimate bizarreness. And pie. In 2001, I was working as a photo-developer/camera salesman at Ritz Camera in Duluth’s Miller Hill Mall. You should’ve seen that place after the 9/11 attack. Ghost town. No one was buying stuff for a while after that, and at the time, we had no idea how long that lull would last. No one bought cameras for months afterward, and hardly anyone was developing pictures. I spent days and days just sitting behind the counter trying to occupy myself with various activities that would usually be frowned upon in a work environment. 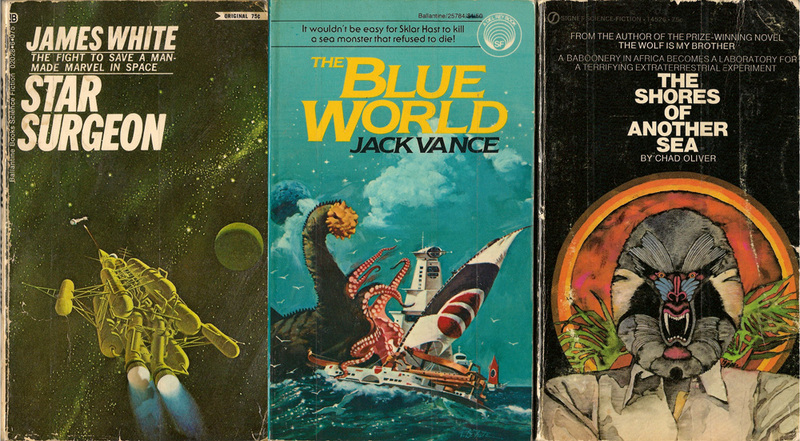 I spent hours meticulously covering my many pulp paperback sci-fi and spy novels with packaging tape, to increase durability. 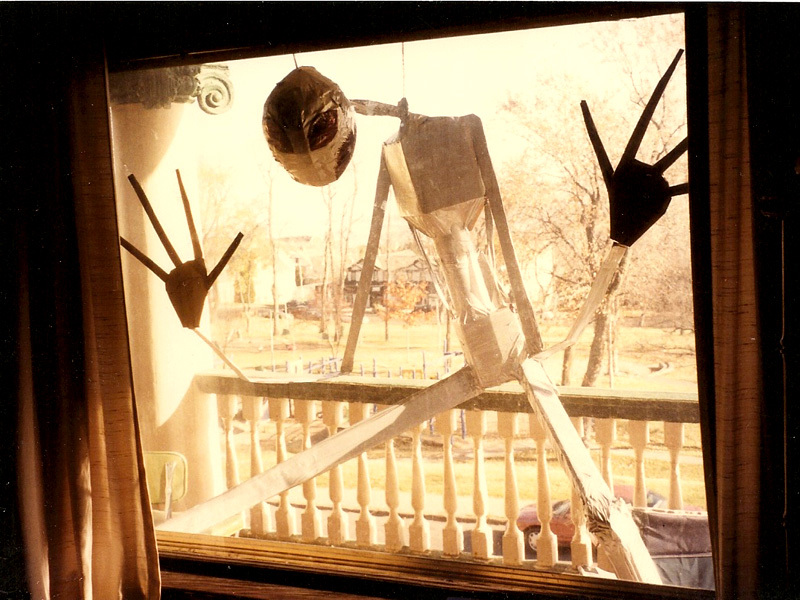 I built an 11-foot tall alien out of duct tape and cardboard as a window prop for our Halloween party. It was obviously a great time to do some drawings. At that time I’d been frustrated at my inability to draw decent-looking stuff in ink, without having to pencil it in first. It’s something I still struggle with, and I like the monthly jams for giving me an excuse to practice. Anywho, I decided to start the “alien-a-day project”, in which I, predictably, tried to draw one new alien every day for as long as my interest would hold out. Unfortunately (for me, but not the economy in general) work picked up before I got very far, but I liked the designs that came out of it. I’d like to unveil those old guys here, since I’m not really producing anything new (well, at least showable) at the moment. There is also a selection of other aliens and monsters I’ve drawn in the last decade, such as the ones from the amazing video game my friend Aaron and I were feverishly creating back in 1999, some Lovecraftian goodies, and so much more. Click the image below to check ’em out! I just wanted to do a shoutout to Jesus and his wonderfulness today. Life is good. I have an amazing wife, two amazing kids, amazing friends, a job that allows me to draw stuff and goof around a lot, and a driving purpose behind every breath that pours gold and precious jewels all around the illusionary mundanity I tend to see sometimes. I am so thankful for the friends I’m meeting in Minneapolis who I draw pictures with. If any of you are reading this, Conspirators, know that you bring a lot of joy to my first Thursdays. Hopefully more often than that, someday. Dana, I love you. Thanks for being my wife. Thanks for being MY wife, and all that that entails. I am also thankful for animals. That incudes my children. Both categories are fuzzy, soft and bouncy. Except for sea goblins. I don’t know what to do with them. I am also thankful for the soundstrack for the movie TEKKON KINKREET. It’s by a great band called Plaid. And Mahjong. Okay, g’night. I’d just like to begin this blog by saying that oarfish are beautiful, and are one of the many underappreciated denizens of the deep. Take a moment to thank God for the oarfish. Stay tuned for long-winded rants about the ignorance of the world in general to the wonder of sea slugs.